Far more advanced than any dishwasher today worldwide, Food Maid Dish Washer loads dishes a stack up to 60 dishes a time, the machine will take them in one by one by itself automatically and spacing the dishes two inches apart for most effective washing, rinsing and drying in sequence. When it finished, the dishes are clean and dry, and stacked ready to serve. 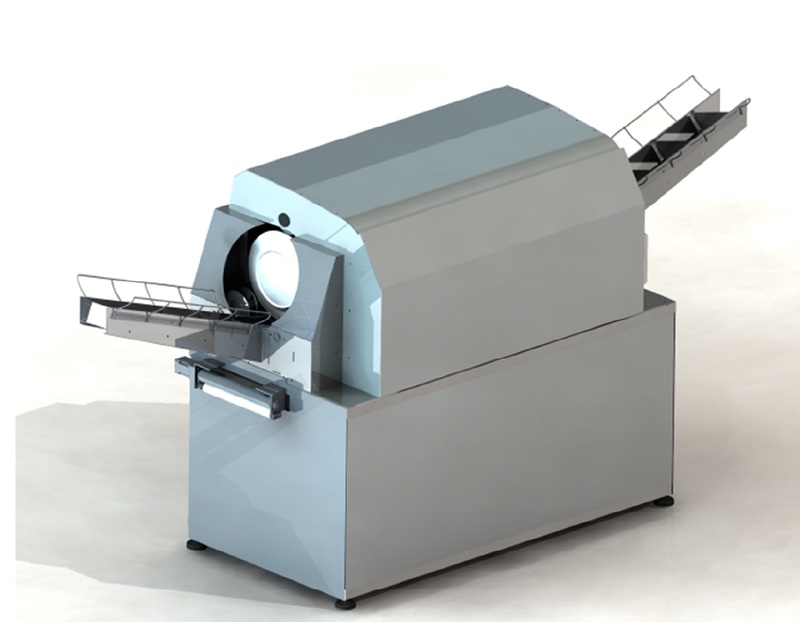 Based on high temperature sanitation and patented effective washing method, the machine does not need detergents or chemicals to make the dishes clean, thus you can save the cost of washing liquids. Food waste in the used water is continuously removed by motorized fine mesh filter to a trash bin. Oil is separated from the used water. The water therefore can be recycled and used for washing the dirty dishes. Fresh water is sparely used only at the rinse station. The water consumption and the machine size are minimized. With double stainless wall sandwiched foam barrier the machine is well thermal insulated to reduce heat loss. The energy of waste water is recovered by the heat exchangers to preheat the incoming fresh water. Therefore this machine is the most water and energy saving among all known dishwashers currently available. 0.048 liters per dish (0.0125 gallons/dish).